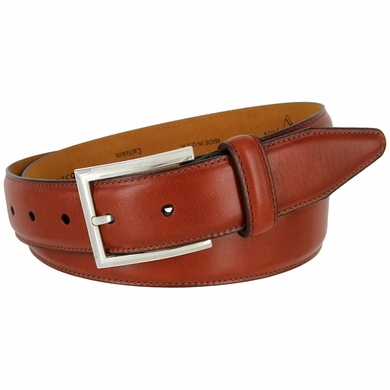 16314 Smooth Italian Calfskin Leather Dress Belt. 1-3/8" = 35mm wide Smooth Tapered Tip Leather with Calfskin Lining. Stitched Stylish Nickel Plated Buckle and a Matching Leather Keeper.